If you’re surrounded by many other companies and buildings, it’s important to make sure your business stands out in a visible, identifying way. 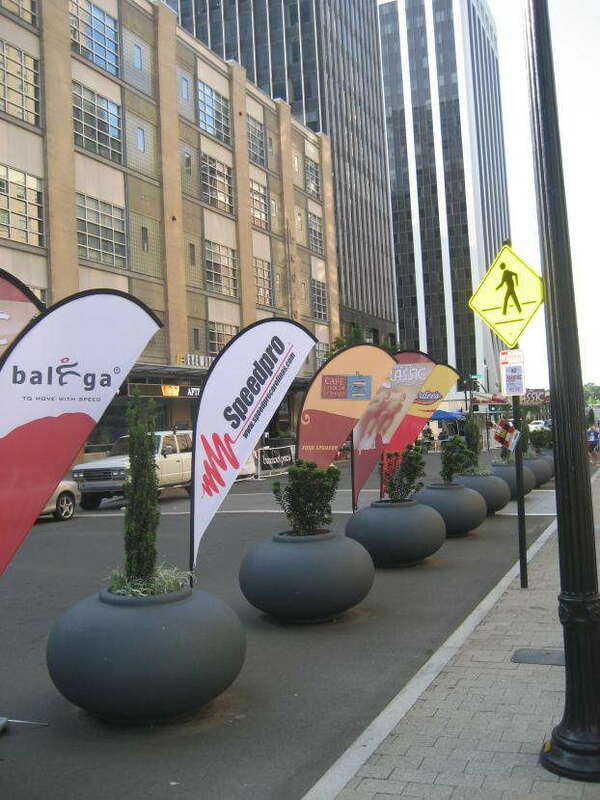 One way to do so is to use outdoor flag signage branded with your company name, logo or message. Inserting flags around your property will not only literally flag down curious onlookers but also set you apart from the competition. Think of any local car dealership you’ve ever known in your life. Didn’t they seem to have an excessive number of flags breezing through the wind on multiple occasions? It was probably just enough to continually capture your attention, time and time again. At SpeedPro Imaging Norfolk, we’re prepared to deliver the same kind of attention-grabbing signage to your business with our custom feather flags. Placing flags around your building will keep the eyes on you and away from your competition. If your company is located in the areas of Norfolk, Virginia Beach and Chesapeake, reach out to us today to get started on your new branding adventure. 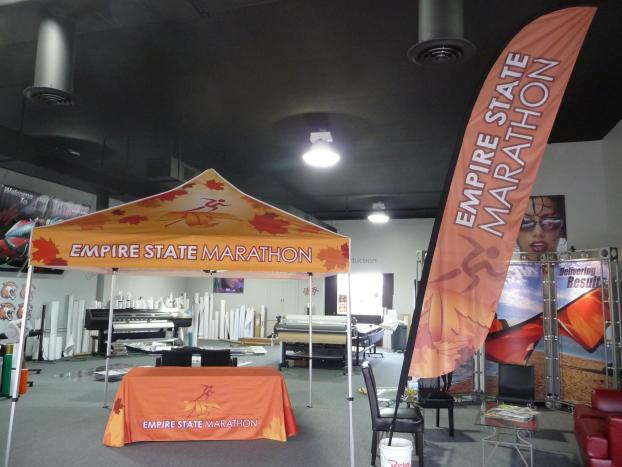 Bold and vivid graphics will enable your lightweight, mobile, colorful custom flags to attract attention and spark conversation with customers. With each type resembling its own particular shape, they all come equipped with the ability to portray your message and complement your business’s style. 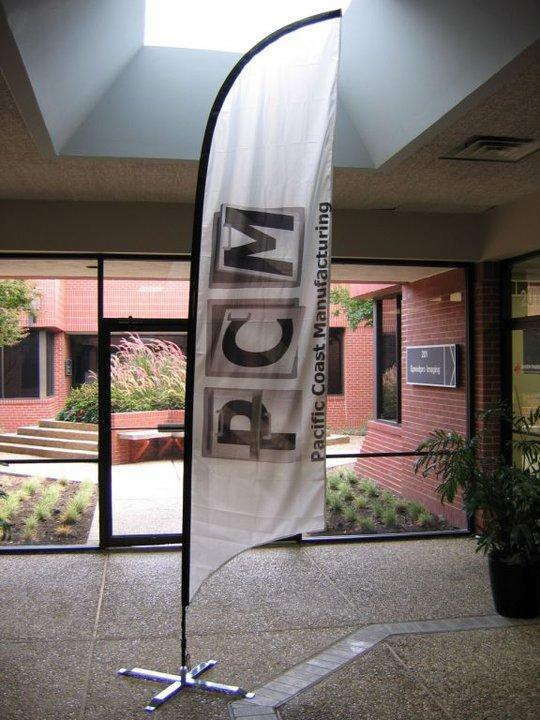 You don’t have to fear that your message won’t be readable or visible either — thanks to the knowledge of our skilled team, we’ve created custom flags that rotate in the wind rather than flap around, ensuring your message can be seen from a variety of angles. If you want to create a memorable effect — like the car dealership — you can request a cluster of flags. It won’t just make people far in the distance wonder what the flags are for — it’ll also intrigue those who are local and nearby to see what message is being displayed. In addition to choosing the number of flags, you can also adjust the size of each one. Whether you want something small to fit onto a tabletop or large enough to stand proud on top of your building, you can choose whatever best suits your brand. SpeedPro Imaging Norfolk also provides flag stands to boost structure and durability. Many of these stands have adjustable height features, meaning you can choose the height of your flag to meet with weather and design factors. To truly become successful, you need to make sure your outer building’s appearance reflects your brand and the activity that happens inside your building. 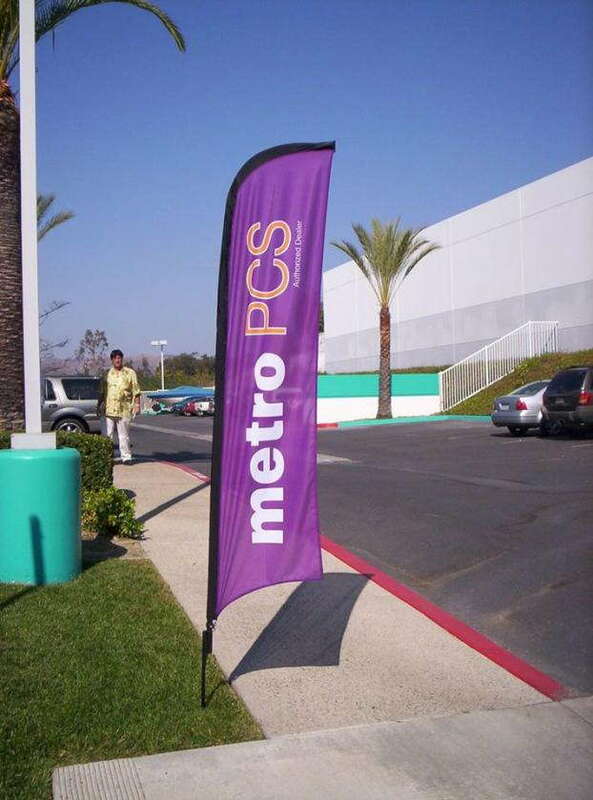 Call us today to learn more about our custom feather flags and the options you have to customize.